Following the exhibition at Bankside Gallery in May 2018, Print REbels continues its tour to other UK venues in 2018 and 2019. A catalogue is available to accompany this exhibition, published by Royal Society of Painter-Printmakers in April 2018, written and compiled by Edward Twohig ARE. Edited by Anne Desmet RA RE. Purchase at the Bankside Gallery bookshop or call 0207 928 7521 for mail order. Print REbels celebrates the 200th anniversary of the birth of the founder and first President of the Royal Society of Painter-Printmakers, Sir Francis Seymour Haden. A prestigious collection of works has been brought together to show prints produced by Haden along with those who inspired him such as Rembrandt and Dürer, and his contemporaries, including Samuel Palmer and JAM Whistler. In 1880, the time the RE was founded, artists such as Haden, Palmer and Whistler were considered revolutionary in their championing of printmaking as a creative medium. In mid-Victorian England, printmaking was seen primarily as a means to make reproductions of artworks, and many printmakers only made a living working as a copyist. These printmakers were not eligible for membership of The Royal Academy, as creative printmaking was not recognised as an art form on the same level as painting and sculpture. It was this that prompted Haden to rebel against this and form a new society, the RE. Haden and Whistler are credited with instigating the Etching Revival, an art movement which lasted 75 years. The RE has always been closely connected with the RA, with several Royal Academicians being founding members of the RE along with Seymour Haden, and the 2nd 3rd and 4th RE Presidents being also RAs. This is represented in the Print REbels exhibition by the inclusion of works by these three past RE Presidents; Sir Frank Short, Malcolm Osborne and Robert Austin. Works feature by other Royal Academician RE Members also, including Frank Brangwyn, Henry Rushbury, Anthony Gross, Julian Trevelyan, Norman Ackroyd, Anne Desmet, Peter Freeth and Chris Orr. 2018 is also the 250th anniversary of the Royal Academy, making this a fitting time to honour this connection. The RE continues to thrive today with over 130 elected members. A work by each of the RE Presidents from the Society's beginning to 2018 will feature in this exhibition, giving an overview of printmaking produced throughout the chapters of the RE's history. The current members of the RE have been invited to produce a new print which responds directly to their Society's heritage. Each artist chose another RE member, past or present, or one of the other artists involved in the Society’s history reflected in the Print REbels exhibition, who has inspired them as a printmaker. Twenty five of these works have been chosen for a Print REbels box set by Jenny Ramkalawon, Assistant Keeper of Prints and Drawings at the British Museum. 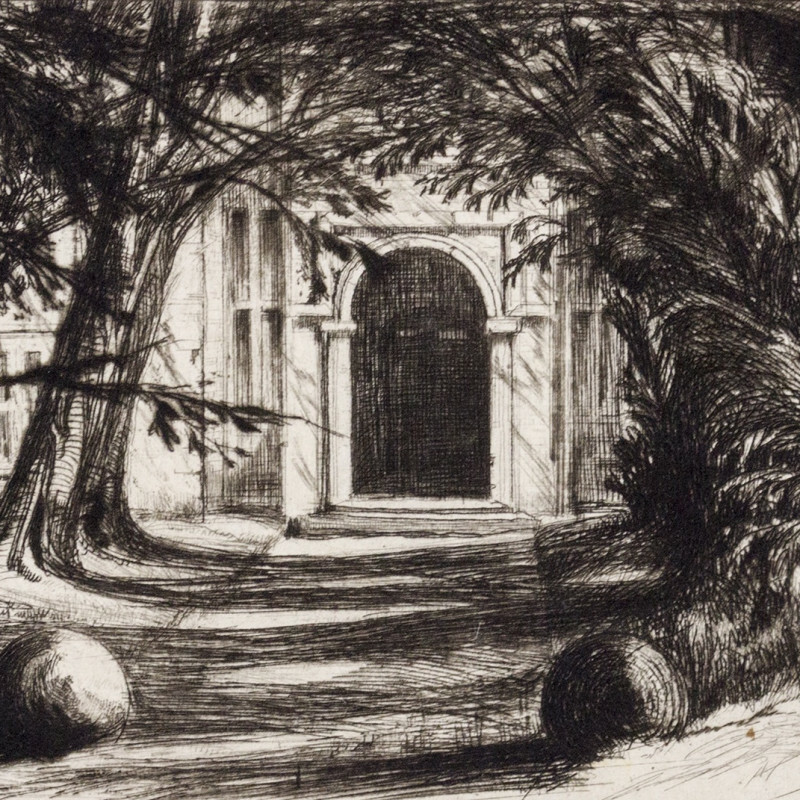 A catalogue has been produced to accompany this exhibition, with a rich history of Sir Francis Seymour Haden's life and its intertwining with the RE, and the contributions made by the second RE President, Sir Frank Short, plus those of Whistler and Palmer towards Haden’s vision and journey. With much previously unpublished material, the catalogue shows the origins and historical legacy of the Royal Society of Painter-Printmakers. Written and compiled by Edward Twohig ARE, his passion and knowledge for the medium of print has fuelled this ambitious project and allowed this documentation of a key element in the history of printmaking as an art form.